Publisher Digerati and developer JoyMasher have announced that their new action platformer Odallus: The Dark Call will launch on the Nintendo Switch on February 8 followed by a Spring launch on PlayStation 4 and Xbox One. Check out the trailer below and read more information about the game from the developer. The old gods have forgotten this land. No one could save our people when darkness started spreading and collecting human souls for its army. 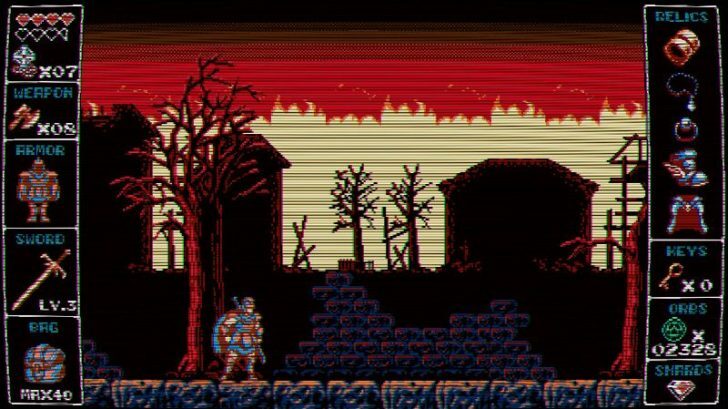 Odallus is a classic exploration / action game, inspired by Ghosts’n Goblins, Demon’s Crest, and Castlevania. Player takes place of Haggis, a warrior tired of fight who must wield his sword once more to rescue his son from Darkness.